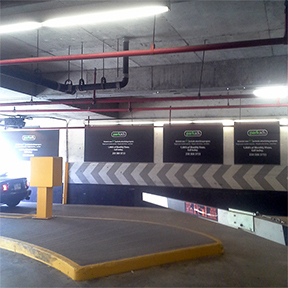 Coast Outdoor's ParkAds Premium Exit Wall Placement Parkade Ads are horizontal wall ads reaching Victoria Conference Centre parkade visitors. 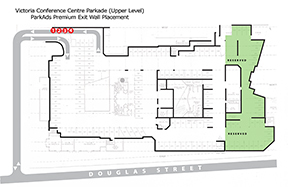 ParkAds are located in the Victoria Conference Centre (VCC) parkade, in downtown Victoria, BC and feature premium exit wall placement reaching vehicle drivers, passengers and foot traffic entering and exiting Victoria's largest conference facility. 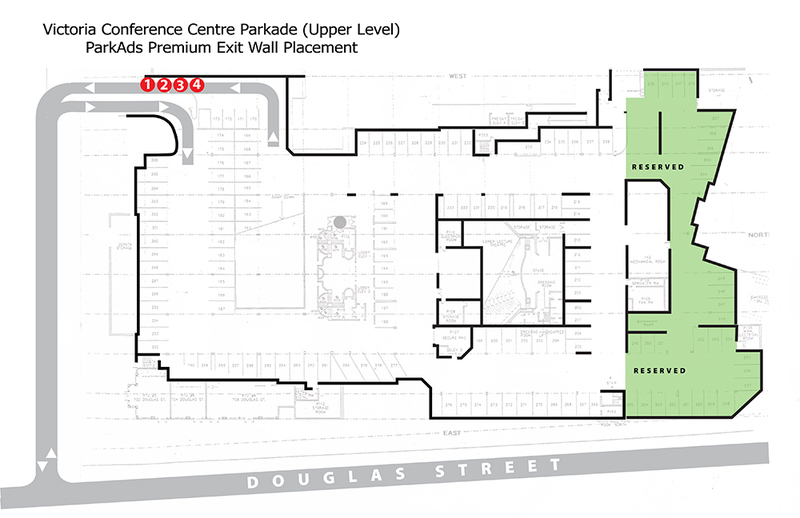 The parkade receives 111,000 annual vehicles (2017 statistic, provided by Robbins Parking - facility operator for the City of Victoria).